"In Veritatis Amore" meaning "in the love of truth"
A Catholic co-educational liberal Arts Institution in Louisville, Kentucky founded in 1950. Bellarmine University has lost our beloved President, Dr. Joseph J. (Jay) McGowan. Dr. McGowan loved Bellarmine. As a leader, Dr. McGowan challenged us all to achieve excellence. He loved the physical therapy program and encouraged us in our program mission. Reflecting on his words, “there are two kinds of future: the future you plan for, and the future that comes at you.” Dr. McGowan believed we have the resilience to persevere through trying times and has built a strong foundation for continued growth in the love of truth. Bellarmine University is ranked as one of the best Universities in the US by a Princeton and Forbes Reviews. The student faculty ratio is 12:1 with an average class size of 19 provide a best atmosphere for learning. There are around 150 full-time faculty with 82 % of them holding a PhD degree. Academics are the heart and soul of the Bellarmine education. The distinguished faculties of BU are experts in their fields and teachers you'll remember for the rest of your life. The Academic Resource Center offers comprehensive tutoring, academic advice, and a wealth of other academic resources. Bellarmine University is proud to present a searchable database of Bellarmine faculty accomplishments in teaching, scholarship and service. From scholarly publications to teaching abroad and service in professional and local communities, the information provides a glimpse into award-winning faculty’s contributions to student learning at Bellarmine and beyond. PT Faculty: Nationally, there are about 200,000 licensed physical therapists, with only 1,560 board-certified in the treatment of older adults. 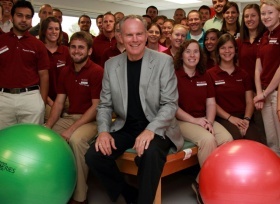 Only 14 of those board-certified physical therapists work in Kentucky; five work with or are on Bellarmine's faculty. Bellarmine's Doctor of Physical Therapy program currently has 14 faculty members including several who have board-certifications in other specialized areas such as electrophysiological, neurological, orthopaedic, pediatric and sports physical therapy. 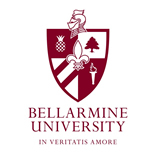 The Bellarmine University offers a wide range of courses including more than 60 Undergraduate programs, 6 pre professional programs and around 14 graduate level programs under doctoral level, specialist and master’s level. Read more about these courses in the [ http://www.bellarmine.edu/programs/ ]. The Bellarmine University offers a Doctor of Physical Therapy Program, which prepares the student for licensure and practice in the field of physical therapy. Candidates for licensure must hold a post-baccalaureate degree in physical therapy from an accredited institution. Students are admitted to the professional program after completing a bachelor’s degree in a major of choice and all program prerequisites. Highly qualified Bellarmine undergraduate students may be admitted to the Doctor of Physical Therapy Program after completing all university general education requirements and the program prerequisites. Bellarmine undergraduate students receive the Bachelor of Health Science (BHS) degree after completing all university general education requirements, program prerequisites and the first year of the professional program. The university awards the Doctor of Physical Therapy (DPT) degree upon completion of the professional curriculum. The Bellarmine University Doctorate in Physical Therapy (DPT) Program currently offers its students one of the most diverse international study experiences in the nation. Students can select from a growing number of destinations. Currently students travel to Australia, Guatemala, and Jamaica. More than 30% of Bellarmine's DPT graduates have engaged in an international experience. The average length of our study abroad experiences ranges from 1-2 weeks. International educational experiences are scheduled during semester breaks so students can participate without interrupting their studies and graduate on time. Average costs for study abroad experiences range from $800 -$3500 depending upon the destination chosen. All study abroad experiences are lead by faculty experienced in international travel. BU has opened the nation's first endowed physical therapy service learning clinic on its campus. The endowment for the newly-named Michael E. Hobbs Service Learning Clinic, in a new location on the first floor of Nolen C. Allen Hall, allows Bellarmine to purchase equipment and supplies to enhance its physical therapy community service programs. The gift also supports expanded faculty and student community engagement projects. A 19,500 square foot expansion of Allen Hall earlier this year created expanded classroom and laboratory space for the physical therapy program at BU. TheService Learning Clinic (SLC) is a free service to the Bellarmine community where graduate physical therapy students provide physical therapy under the supervision of their instructors. Therapy services include evaluation and treatment of a wide range of musculoskeletal, neurological, and developmental conditions. Schedule an Appointment: Contact Michele at Telephone: +1 502-272-8029 or Email [ mailto:[email protected] ]. 1. At the Catholic Enrichment Center, 3146 West Broadway, physical therapy faculty and students serve clients weekly. 2. In partnership with the Mayor's Healthy Hometown initiative, Lansing faculty provide diabetes education and exercise programs through "Active Steps for Diabetes Education" at Park Du Valle Community Health Center, 3015 Wilson Avenue. 3. On Bellarmine's campus, the "Let's Dance!" program, in partnership with the Parkinson's Support Group of Kentuckiana, allows individuals with neuromuscular disorders and their spouses to participate in therapeutic dance movement activities. The Bellarmine University Doctor of Physical Therapy Program supports Vision 2020, which will promote a healthcare environment in which consumers will have "direct access to physical therapy services". In addition, Vision 2020 will allow Doctors of Physical Therapy to practice "autonomously". The Bellarmine University started collaboration with Physiopedia in 2012. Not only in academics, the BU has a well equipped sporting facilities for its students and has an exclusive site for its athletic lovers [ http://athletics.bellarmine.edu/ ] . BU has ten intercollegiate teams for women and nine for men among which some of them play for NCAA Division I level. The athletic field includes a state-of-the-art stadium housing lacrosse, soccer, field hockey, and track & field. The Bellarmine University Knights are the big highlights in the University’s sports corner. Bellarmine University offers financial aid to students and each year more than $11 million scholarship money is being granted for needed students. The Bellarmine University runs a magazine which has 4 issues per year for four seasons as Fall, Summer, Spring and Winter. Also the University has an interactive alumni association.